You know, we’ve explored, several times now, the relationship between vitamin D levels and risks for severe health complications, including dementia. 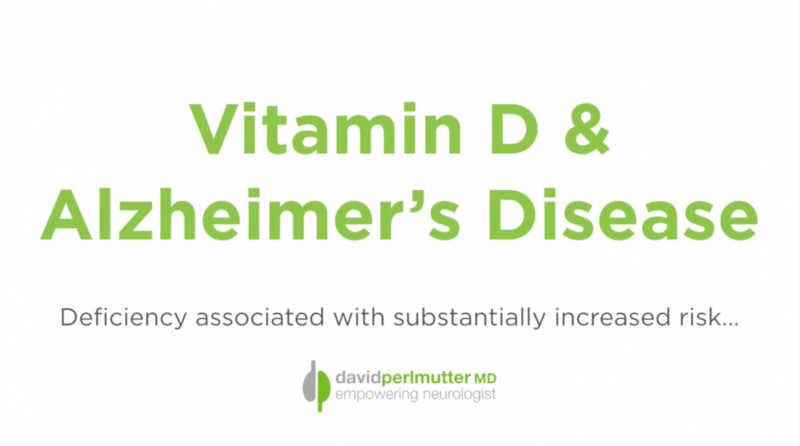 Notably, my colleague Dr. Dale Bredesen has written and researched much on this topic, particularly with regard to the relationship between vitamin D levels and Alzheimer’s risk. In fact, Dr. Bredesen even includes vitamin D supplementation in his protocol for treating Alzheimer’s and dementia. Well, a new study in the journal Neurology explores the scientific fact behind this relationship between vitamin D, and dementia and Alzheimer’s. This longitudinal study followed 1,000+ elderly individuals who were free of dementia at the outset, to see how their vitamin D levels and brain health state changed over time.